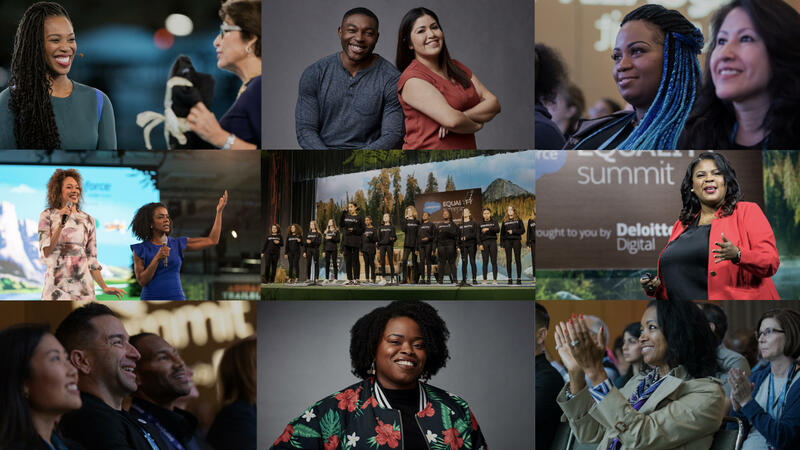 Salesforce and Atlanta Tribune: The Magazine will host the first ever, Diversity In Technology Summit in conjunction with World Tour Atlanta. Held December 5, this half-day event will highlight the black tech community in Atlanta. With programming focused on inclusion, leadership, and elevating black talent, the event will inspire, excite, and motivate attendees. The content will be curated by Industry Analyst and host of the Small Business Trends, Brent Leary. We will also be joined by special guest Atlanta Hawks, Grant Hill and Nzinga Shaw. Hosted as a conference within a conference, concurrent to World Tour Atlanta, attendees will be treated to the Salesforce keynote and event registration, and then can attend a separate track as part of the Diversity in Tech Summit. Co-owner and vice president of the board of the Atlanta Hawks. Grant also has significant and important broadcasting roles with CBS Sports, Turner Sports and NBATV. Currently, Hill co-hosts NBA Inside Stuff on NBA TV, spanning the NBA regular season. Chief Diversity & Inclusion Officer of the Atlanta Hawks & State Farm Arena. She is the first person to hold this position in the National Basketball Association. In her role, Shaw is responsible for developing and embedding diversity and inclusion best practices throughout the organization. More Speakers . . .
"You can't be, what you can't see. #Representation Matters"
By registering, you confirm that you agree to the Event Terms of Service and to the storing and processing of your personal data by Salesforce as described in the Privacy Statement. By registering I confirm that I have read and agree to the Event Terms of Service and Privacy Statement. Yes, I would like to receive marketing communications regarding Salesforce products, services, and events. By registering, you confirm that you agree to the Event Terms of Service and to the storing and processing of your personal data by Salesforce as described in the Privacy Statement. By registering, you confirm that you agree to the Event Terms of Service and to the storing and processing of your personal data by Salesforce as described in the Privacy Statement. By registering, you confirm that you agree to the Event Terms of Service and to the storing and processing of your personal data by Salesforce as described in the Privacy Statement. By registering, you confirm that you agree to the Event Terms of Service and to the storing and processing of your personal data by Salesforce as described in the Privacy Statement. By registering, you confirm that you agree to the Event Terms of Service and to the storing and processing of your personal data by Salesforce as described in the Privacy Statement. By registering, you confirm that you agree to the Event Terms of Service and to the storing and processing of your personal data by Salesforce as described in the Privacy Statement. By registering I confirm that I have read and agree to the Event Terms of Service and Privacy Statement. By registering, you confirm that you agree to the Event Terms of Service and to the storing and processing of your personal data by Salesforce as described in the Privacy Statement.